As a verb, "fashion" is exceedingly queer. Our queer community learns to fashion its identity out of the clothes we wear, the costumes we choose, the fabrics we desire--and the statements these make. No other community of people allows clothing to serve as such a primary, dominant marker of subjectivity, both individually and collectively. And we don't simply permit it; we rely upon it. Queers communicate through what we put on our bodies. So this is not merely a "fashion book." 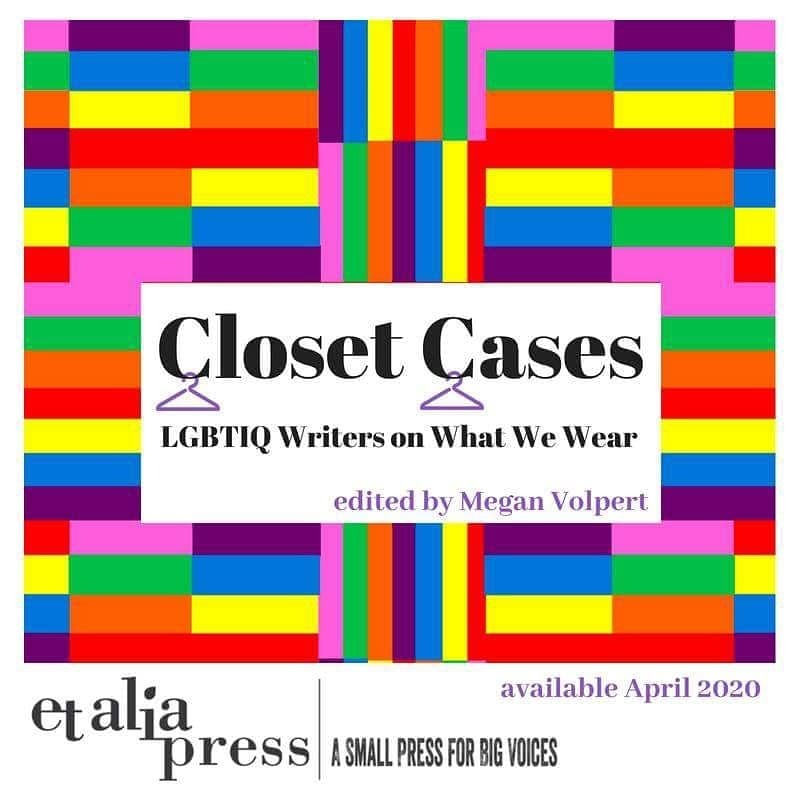 It's a collection of artifacts that testify to the power of fashion as a verb, to the complex and lovely strategies that govern what we do in the LGBTIQ community to build authentic selves that are both comfortable and seen. SEEKING 75 QUEER WRITERS, ANY GENRE. Each contributor will get a two-page spread with photo of their clothing and accompanying text explaining its significance. This gorgeous, full-color coffee table book will be published by Et Alia Press in spring 2020. Et Alia Press is a small press for big voices in Little Rock, Arkansas with publishing interests in three areas: local histories, health and wellness, and emerging artists.